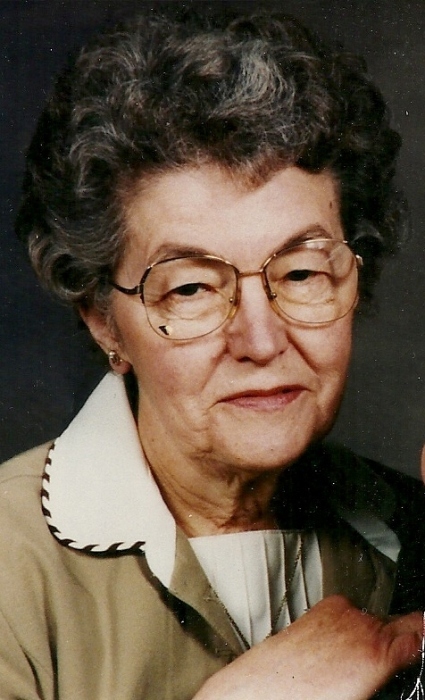 Mary T. Shedivy age 96 of Prairie du Chien passed away Monday, April 8, 2019 at the Prairie Maison Care Center. She was born November 14, 1922 in Bridgeport, WI the daughter of Charles and Lucy (Wall) Mezera. She married Harry Shedivy on October 19, 1943 at St. John’s Church in Prairie du Chien. Together they farmed in the Seneca area and later Mary worked for the Crawford County Sheriff’s Office. Mary also worked as a laundry supervisor for the Prairie du Chien Memorial Hospital and as a volunteer for the American Red Cross. She was an active member of St. Gabriel’s Parish and was instrumental in the development of the Opportunity Personal Development Center in Prairie du Chien. Harry preceded her in death on July 14, 1999. She is survived by her children, James (LaVonne) of Sarasota, FL and Charles (Bev) of Prairie du Chien, Theresa Heal, Zita (Mike) Balk and Monica Shedivy all of Prairie du Chien, and Debra (Jack) Kreinbring of LaCrosse, WI, sisters; Monica Bay of Cassville, WI and Beth Scheckel of Soldiers Grove, WI, sister in law Patricia Mezera of Prairie du Chien, 18 grandchildren, 21 great grandchildren and one great great grandchild. She was preceded in death by her parents, her husband, her twin children, Eli and Elaine, brothers, Clem, Dan, Chad and Wenceslaus Mezera, grandchildren, Clint and Lance Shedivy, great grandchild William and a son in law Alvin Heal.